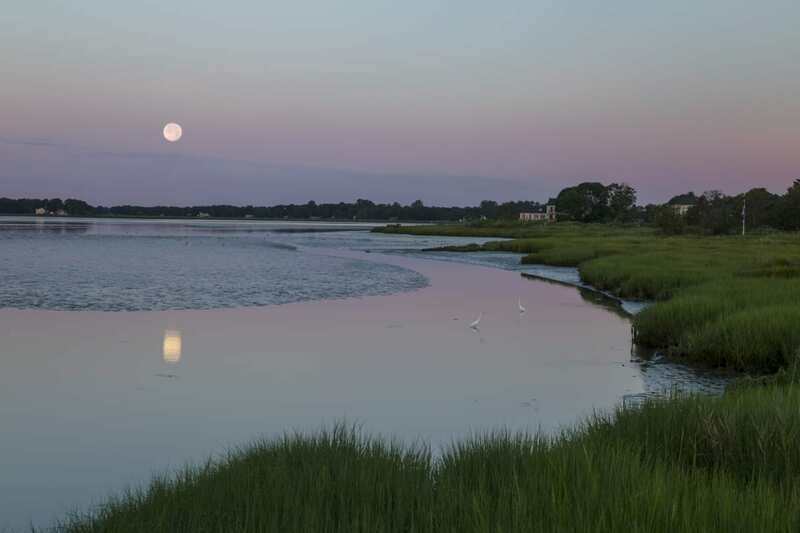 Old Saybrook and our surrounding towns are full of history and life. Experience the many hidden treasures and adventures waiting to be discovered. Days are meant to be spent riding a bike down the causeway at sunset, wandering through notable museums, putting across the green, and digging toes into the warm, golden sand. Cruise down the Connecticut River or across the Long Island Sound and explore the surrounding area with a new perspective. Boat charters are plentiful in Saybrook and offer a truly unique experience that gets you off the beach and onto the open water. Who doesn’t love a little adventure? See one of Connecticut’s oldest historical treasures next door at Fort Saybrook Park in Old Saybrook. Built in 1635, the 18-acre park features the former site of the Connecticut Valley Railroad’s roundhouse and end-of-the-line turntable. Stroll the nearby Cypress Cemetery and see the Yale Boulder, which marks the first site of Yale College. 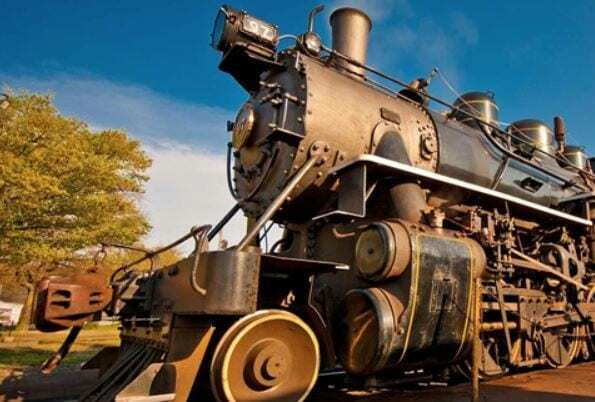 Enjoy a vintage-style ride on the Essex Steam Train & Riverboat in Essex. Have dinner on the Essex Clipper Dinner Train or take a seasonal charter cruise on the Becky Thatcher. A fascinating experience awaits at Gillette Castle State Park in East Haddam. Built in 1919 by Sherlock Holmes actor William Gillette, this medieval-style attraction is a must-see! 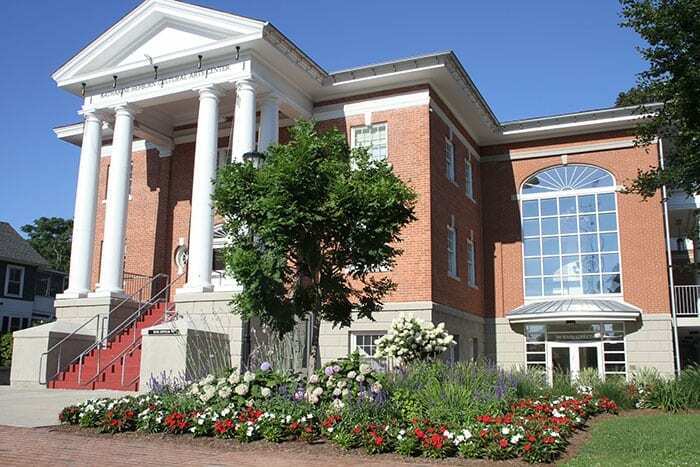 Learn the history of the Connecticut River at the Connecticut River Museum in Essex Village. See the world’s first submarine used during the American Revolution and learn about the 1814 British raid on Essex. Tour the area’s historic buildings. General William Hart House in Old Saybrook, Pratt House in Essex and Nathan Hale Schoolhouse in East Haddam all offer seasonal guided tours. Be sure to visit the Katharine Hepburn Cultural Arts Center, also lovingly referred to as The Kate. Built in 1905 this musical and dramatic club saw many changes throughout the coming decades as a theatre, safe haven for troops, and government offices. In 2003, in honor of the late Katharine Hepburn, the building was restored to its original glory and with the permission of her family, was named after her life and legacy. The Florence Griswold Museum in Old Lyme is a treasured historic tribute to American Impressionism and the Lyme Art Colony. See the featured exhibits and stroll the scenic gardens. If you love song and dance, you must check out the Tony Award-winning Goodspeed Musicals! Shows run at the main Goodspeed Opera House in East Haddam and the Terris Theatre in Chester. If you love contemporary fine art, you will have to visit the Cooper & Smith Gallery in Essex. Exhibits primarily feature oil paintings from artists all over the country. An incredible selection of designer clothing and accessories awaits you at Clinton Crossing Outlets in Clinton. From Abercrombie & Fitch to White House Black Market, there’s something for every style. You can find even more designer deals at the Westbrook Outlets in Westbrook. Stores include Old Navy, Eddie Bauer, Lane Bryant and J. Crew, just to name a few. Saybrook Country Barn in Old Saybrook is the go-to place for beautiful home furnishings. Drive along Main Street and Boston Post Road in Old Saybrook to find lots of local boutique shops for quality designer clothing and home goods. Love antiques? Visit Old Saybrook Antiques Center and Essex Saybrook Antiques Village on Middlesex Turnpike in Old Saybrook! Both shops offer fine selections of furniture, jewelry, glassware and collectibles. Head to Main Street in Essex for more fabulous local shopping. The Griswold Inn Store, Haystacks and Scensibles are just a few of the wonderful boutique shops along this scenic strip in Essex. Another great Main Street shopping experience awaits in Deep River. Anchor & Compass, The French Hen, Celebrations and Lark are just a few places to find quality clothing, jewelry and gifts. After shopping til you drop, have a rejuvenating experience at our onsite Sanno Spa! From manicures and pedicures to massages, facials and more, Sanno is the best place to treat yourself. In the mood for 9 holes or even 18? Check out some of the local golf courses. Old Lyme Country Club Golf Course is a private owned club offering 9 holes with a beautiful picturesque setting, where you can also take in some tennis, or stay for lunch. Take in gorgeous water views while playing 9 holes at the oldest public golf course in Connecticut, Fox Hopyard Golf Courselocated just down the street from the Inn. Want to enjoy some time in the sun? Pack a picnic and go down to Harvey’s Beach located just ten minutes from Saybrook Point Inn. Walk “the Loop” and enjoy the scenic waterfront highway 154 around North Cove Road. You’ll see historic homes, and magnificent trees that have been around for hundreds of years. Interested in sport fishing? Two local charters will help with that. Islander Sport Fishing Charters or Kingfisher Charters both ensure a good time and a good catch! Experience the Connecticut River, the Long Island Sound, New York, Rhode Island, or Massachusetts with up to 37 guests on a luxury charter motor yacht, Real Escape.